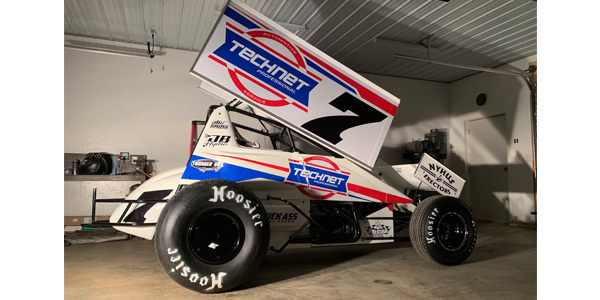 TechNet, a business-solutions program from Advance Auto Parts, will sponsor Gunner Cummings Racing of Menomonie, Wisconsin, for the 2019 UMSS Sprint Car season. TechNet plans to have Gunner Cummings appear at multiple TechNet locations throughout the Midwest in addition to sponsoring signature racing events. TechNet is a business-solutions program designed to help independently owned repair facilities grow their business and develop customer loyalty while maintaining their own identities. Cummings will drive a TechNet-branded Winged Sprint Car in 16 races throughout the season, which kicks off on May 18 at Cedar Lake Speedway in New Richmond, Wisconsin. On July 3-4, Cummings will take part in the Advance Auto Parts Outlaw Kart Nationals at Thunder Hill Speedway in Menomonie, Wisconsin. After a public debut of the new TechNet-branded winged car at the Red Cedar Speedway Car Show and Expo earlier this month, Gunner Cummings Racing will make its racing debut on May 4 at Thunder Hill Speedway. For more information regarding the season-opening race and other events throughout 2019, visit www.racewaythunderhillspeedway.com.